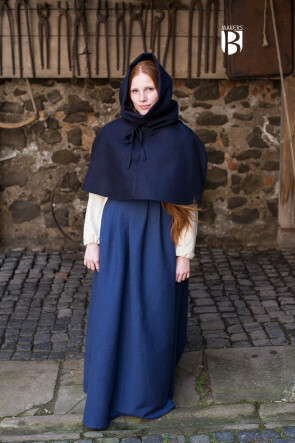 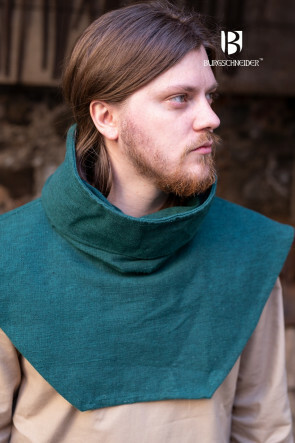 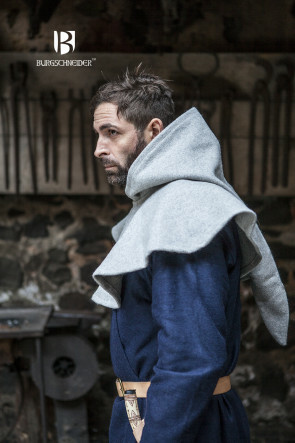 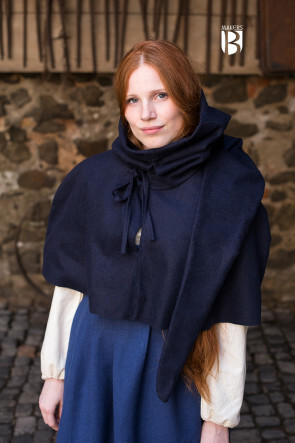 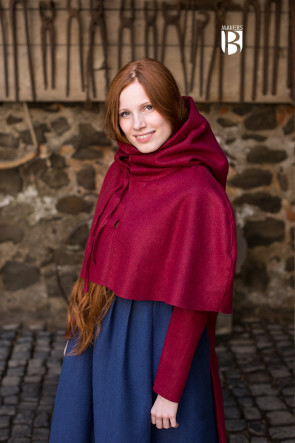 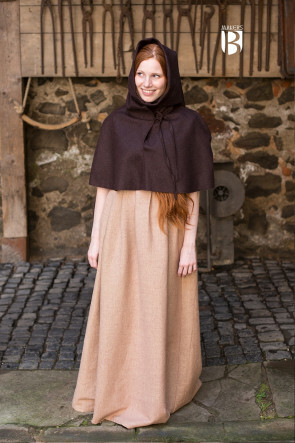 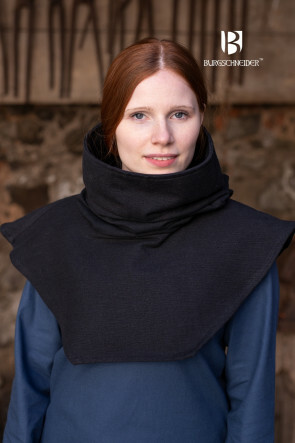 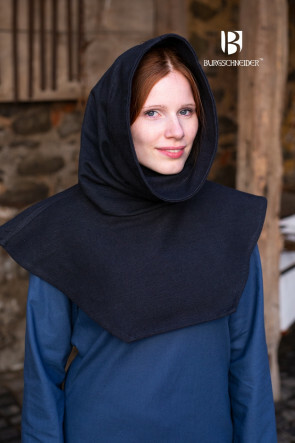 The cowl, also know as Gugel, was a pragmatic piece of clothing in the early middle ages to protect from wind and weather. 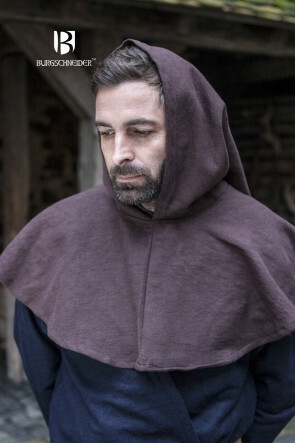 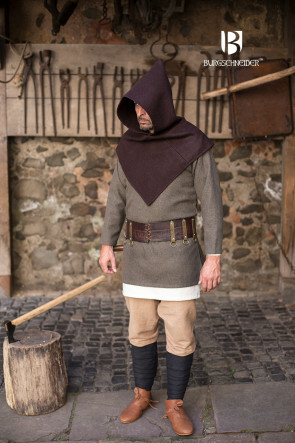 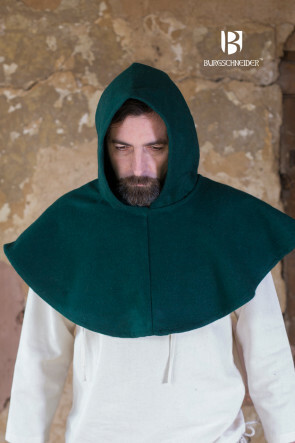 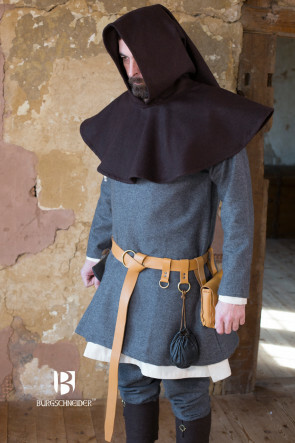 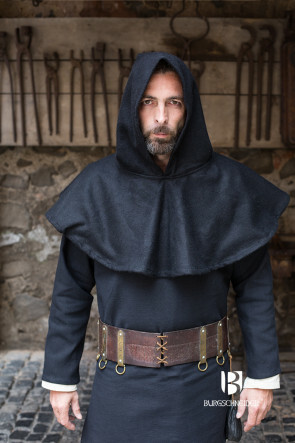 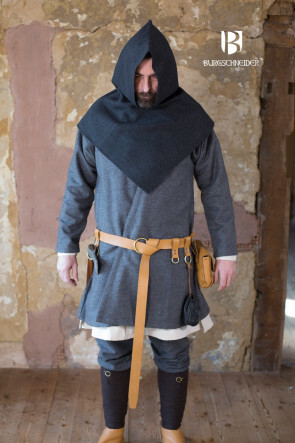 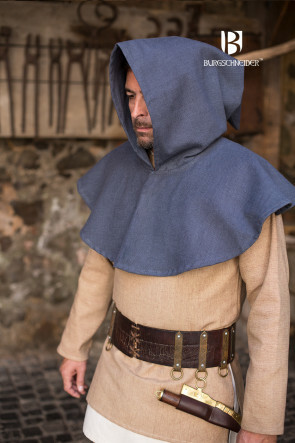 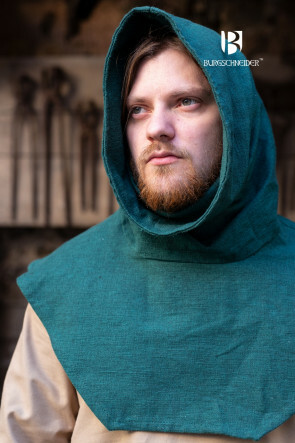 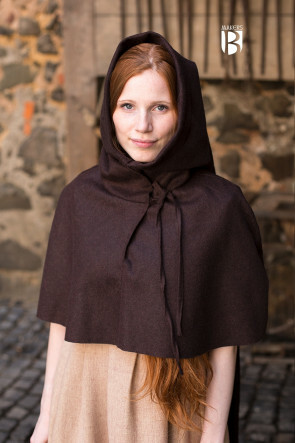 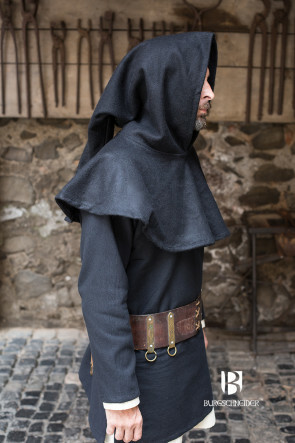 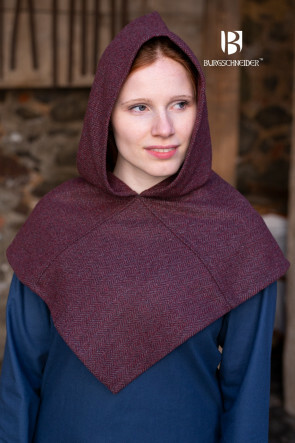 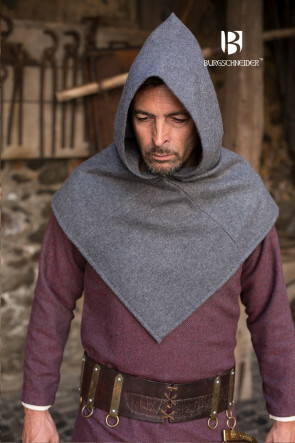 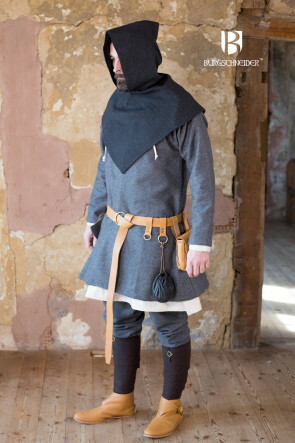 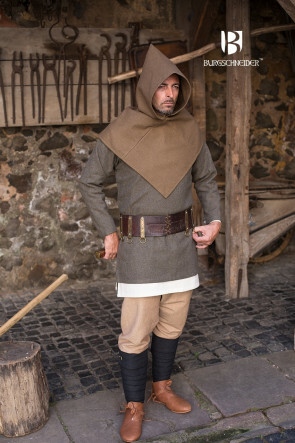 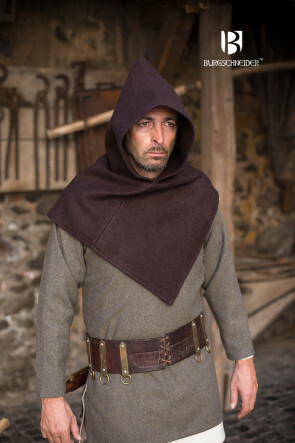 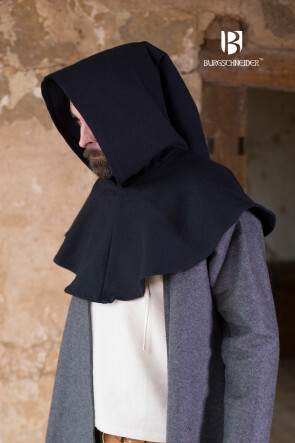 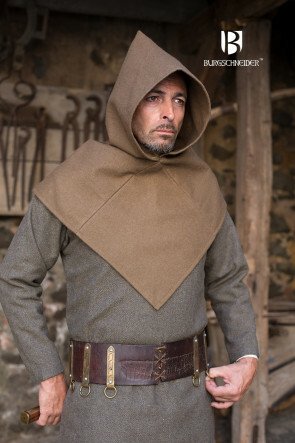 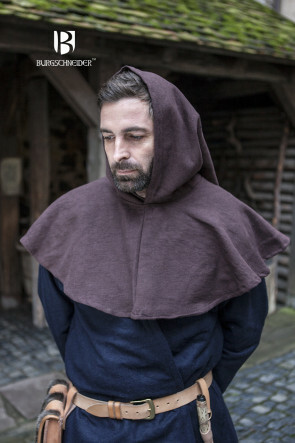 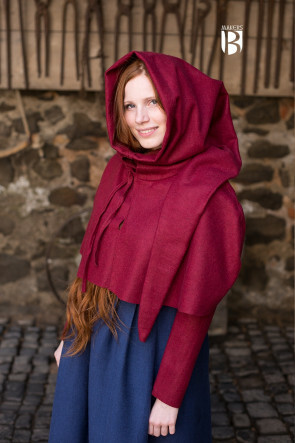 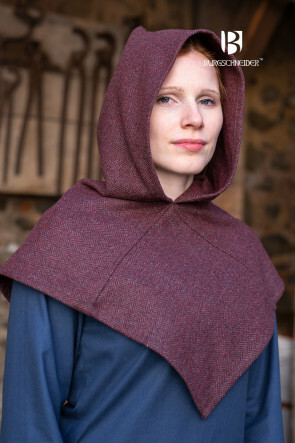 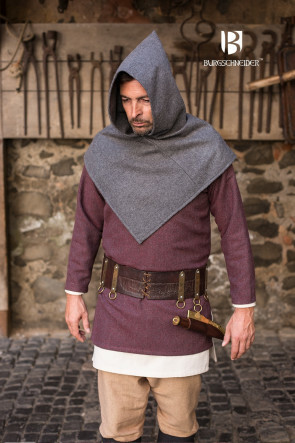 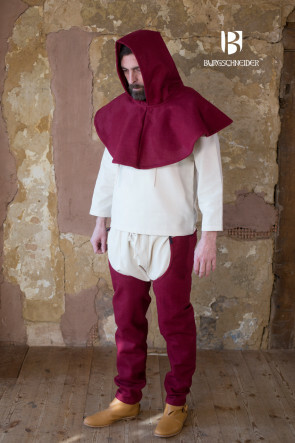 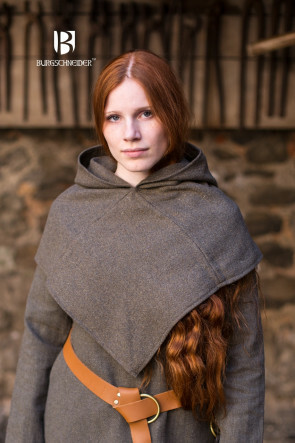 The cowl wasn't pointed like in the high middle ages. 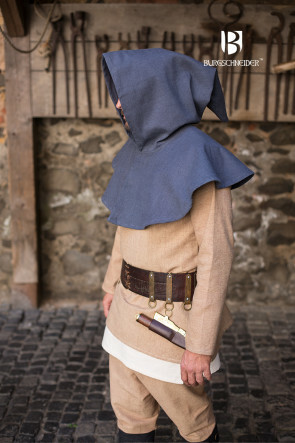 Today on the reenactment events you can find a cowl with a long tip. 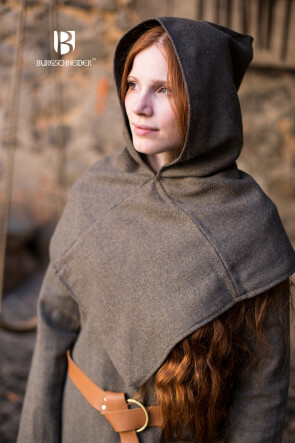 The long tip was a fashion phenomenon of the high and late middle ages. 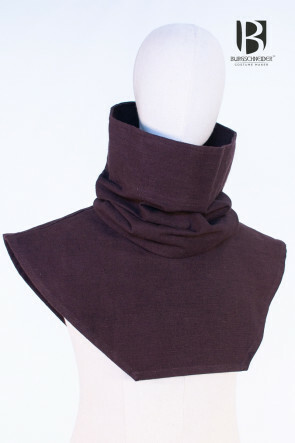 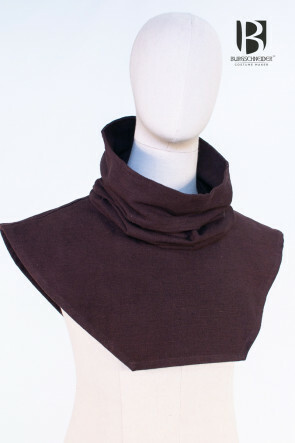 The tip on the cowl is often called Sendelbinde. 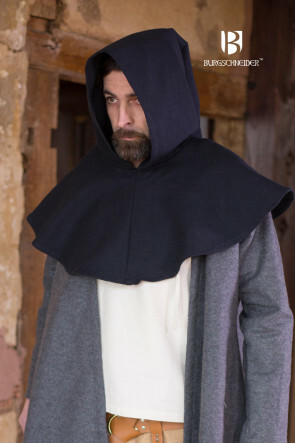 This name is not accurate respectively its scientific method of the 19. century as a result. 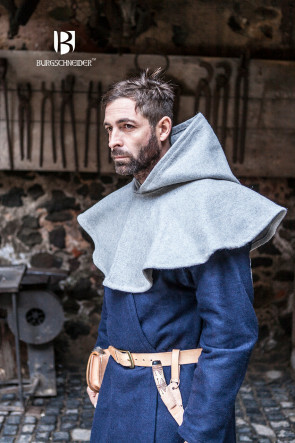 A convincing demonstration you can find in Katrin Kanias Kleidung im Mittelalter: Materialien - Konstruktion - Nähtechnik. 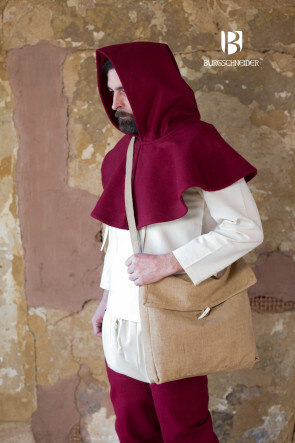 Ein Handbuch.